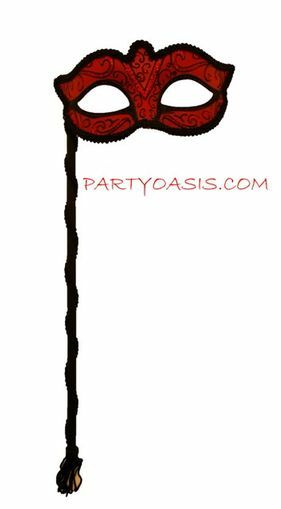 Masquerade eye mask is made out of a lightweight molded plastic with black trim which extends down the stick. Comes with tassel. Great accessory to any masquerade ball costume.